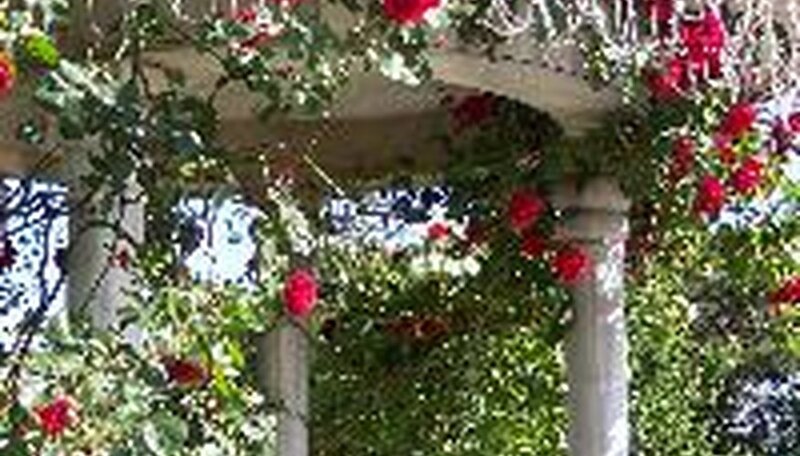 Climbing roses provide an often colorful, fragrant and beautiful vertical focus in a landscape or garden. They are not natural climbers in that they don't grow extensions which cling to or wrap around structures. But, with simple ties, they are trained to climb pillars, trellises, arbors, walls and fences. Perhaps the best of the many lists of best climbing roses are the two inducted into the Rose Hall of Fame. Other best climbers fall into color groups. 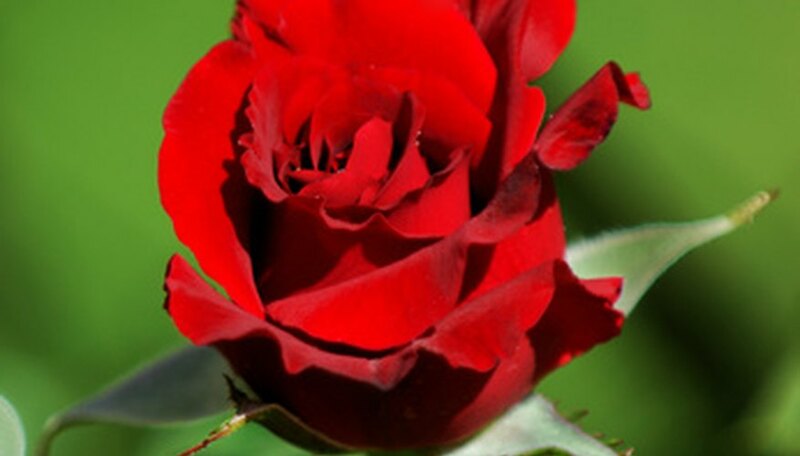 The Rose Hall of Fame, organized by the World Federation of Rose Societies, selected its 14 roses by vote of member countries. Two are climbers: Pierre de Ronsard, inducted in 2006; and New Dawn, inducted in 1997. Pierre de Ronsard -- with large, double flowers in clusters of pink-to-cream -- blooms all season with a light fragrance. New Dawn, one of the most popular roses in the world, has large, light-pink flowers, blooms twice, and grows to 30 feet. Masses of white roses climbing up a structure can be stunning. The best and most popular ones include White Dawn, Climbing Iceberg and Sally Holmes. White Dawn climbs to 12 feet, with fragrant, large flowers measuring 3 inches in diameter. Climbing Iceberg is slightly fragrant, blooms from spring to fall with clusters of double blooms and grows to 10 feet. Sally Holmes, with large flower clusters all season, grows to 12 feet. Golden Showers, Peace and Yellow Lady Banks are among the best yellow climbers. Golden Showers -- a fragrant, double bloomer -- grows to 10 feet and blooms a bright yellow which fades to cream. Peace blooms as a yellow bud, with outer pink petals, then it turns whitish and, finally, is edged with pink. Yellow Lady Banks blooms once in clusters of small double flowers and can reach 15 feet. The best of the wide selection of pink climbers include Blossomtime, Madame Alfred Carriere and Climbing Zephirine Drouhin. The buds on Blossomtime, which grows to 12 feet, open to reveal soft and dark pink petals. The very fragrant Madame Alfred Carriere grows to 16 feet and, opening in pale pink, becomes cream colored. Climbing Zephirine Drouhin, a cerise pink, is a thornless, repeat bloomer that grows to 15 feet. The best red climbers include Blaze, a medium red, and Don Juan, a dark red. Blaze, with very flexible canes, is one of the easiest climbers to train. It is a repeat bloomer with clusters of scarlet blooms. Don Juan, an extremely fragrant double-bloomer, begins blossoming with a profusion of flowers and continues blooming but with a progressively smaller show of blossoms.